All of the details on the chairs are hand carved – the gorgeous backsplat with further barley twists and the scrolled top rail around the weaved back rest. The chairs are solid and sturdy, wobble free and very comfortable to sit in. They have just been reupholstered so are free from any previous owners smells such as pets and smoke. The set consists of two arm chairs and six sides. We bought this set from a dealer in Sandringham and will ship to anywhere in the world. You are viewing a gorgeous French ‘Lilly flower’ table hand crafted from the finest oak. The table is a large nine foot long and thus can seat 8 people more than comfortably so is perfect for all your dinner party needs. 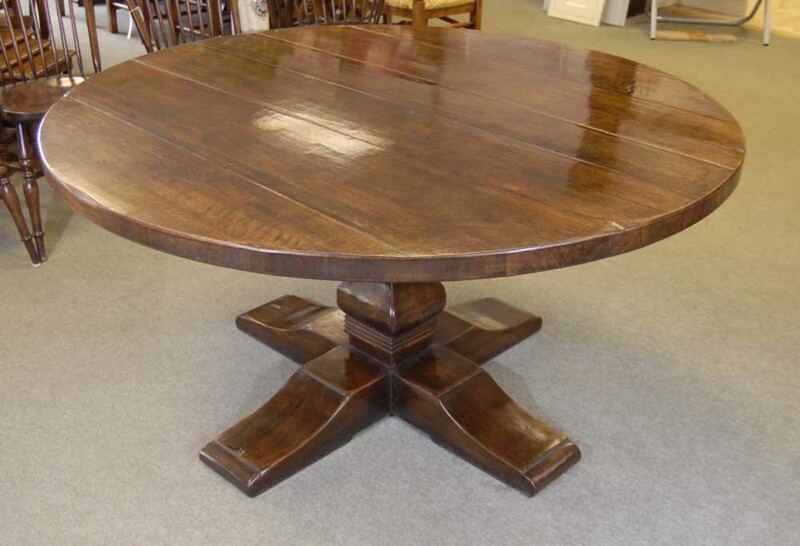 It’s incredibly solid and chunky, this table is built to last and has something of the French provincial rustic to the look. It is elegant enough to go in the dining room and sturdy enough to withstand the vigours of every day family use in the kitchen. 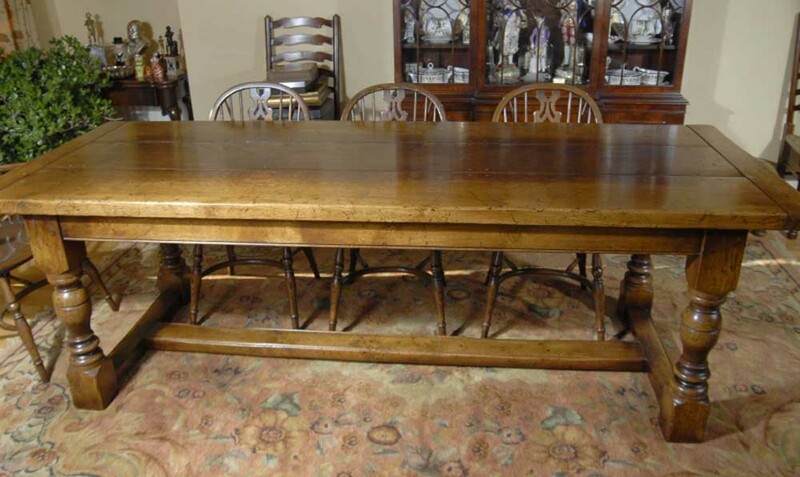 The table sits on the twin posts underneath, adding to its strength, whilst also looking good. We bought this from a dealers in Nantes we regularly visit whilst on our French buying trips. 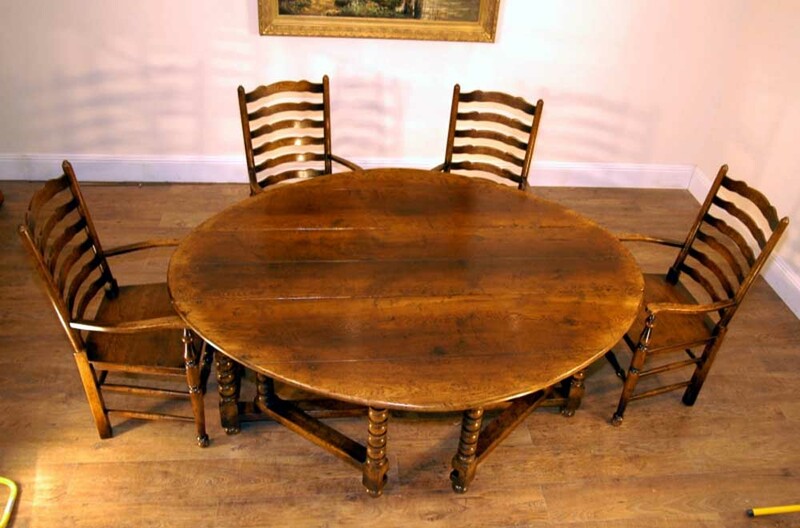 We have also pictured it with a set of French shell hand carved ladderback chairs in oak which we have for sale and are a perfect match to this table. Please email for further details or check our store page. Of course if you were to buy both the table and chairs we would organise an amazing deal on the price. 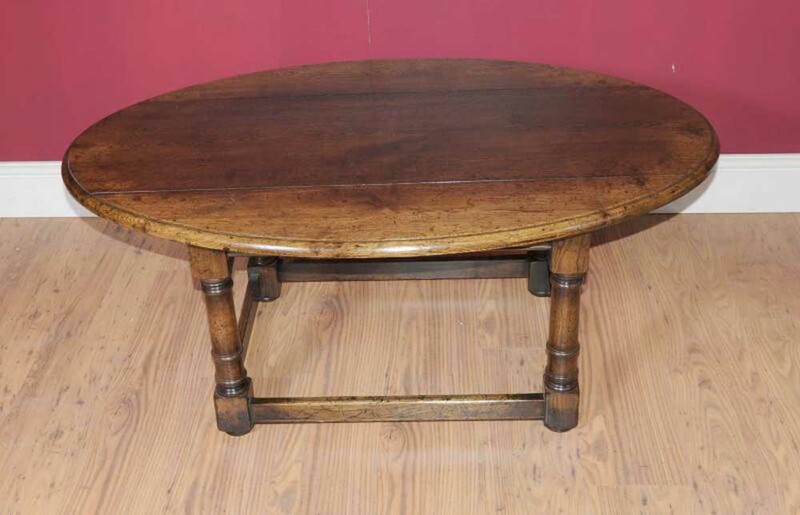 You are viewing a gorgeous English rustic hand crafted drop leaf table with distinctive barley twist legs. I hope the photos do this stunning piece some justice, it’s certainly more impressive in the flesh and would make for a great addition to any home interiors scheme. The table can work as both a kitchen table or a piece for more formal dining occasions. The piece is seven foot across when opened out so it can seat 6-8 people. It opens out via the drop leaf system. The table is solid and sturdy with no wobbles, ready to last you for generations of faithfull service. We bought it from a dealer in Newmarket, Cambridgeshire and we will ship to anywhere in the world. Get your bids in early. We have pictured it with a set of ladderback chairs we have to match also in oak. 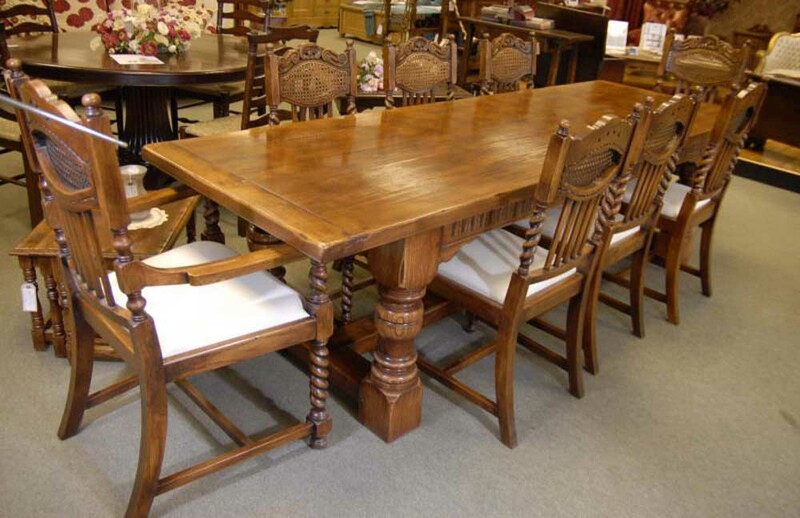 We have many other rustic chairs so please get in touch if you are looking for a complete dining set. 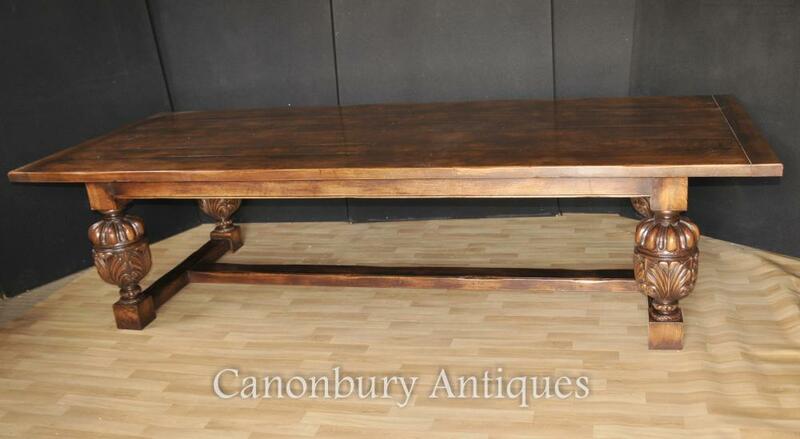 You are viewing a gorgeous oak refectory table. 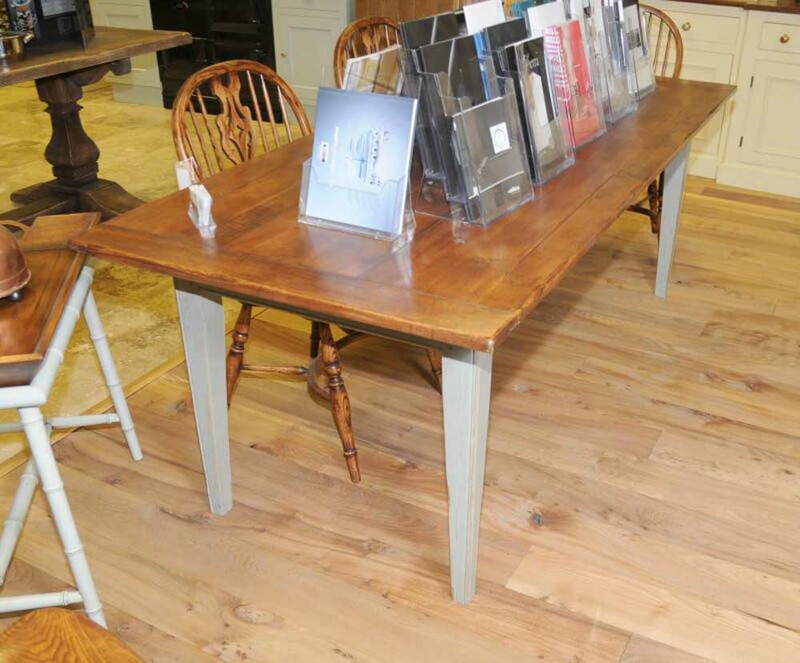 The table has been hand crafted from the finest oak and is solid and chunky with no wobbles. The legs are hand turned and very chunky linking the stretchers to the bottom. 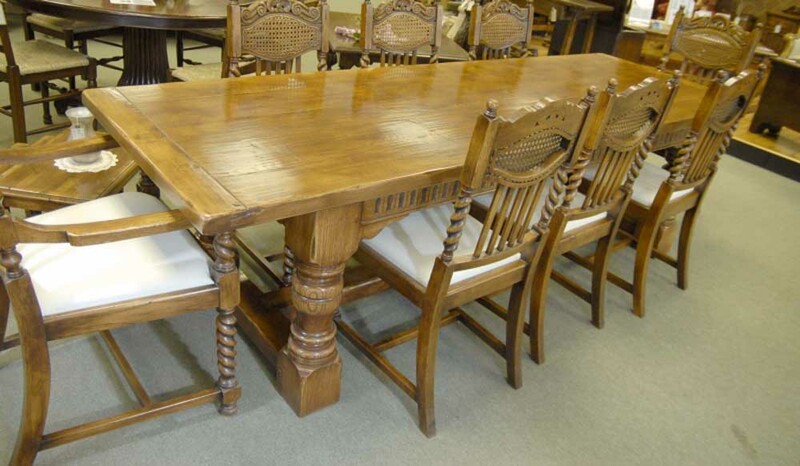 The table is offered in very good condition and sits eight chairs more than comfortably. This set works for both kitchen dining or more formal dining. We bought this set from a dealer in Sheringham, Norfolk. It’s offered in very good condition ready for home use right away. Get your bids in early. This won’t be hanging around for long. 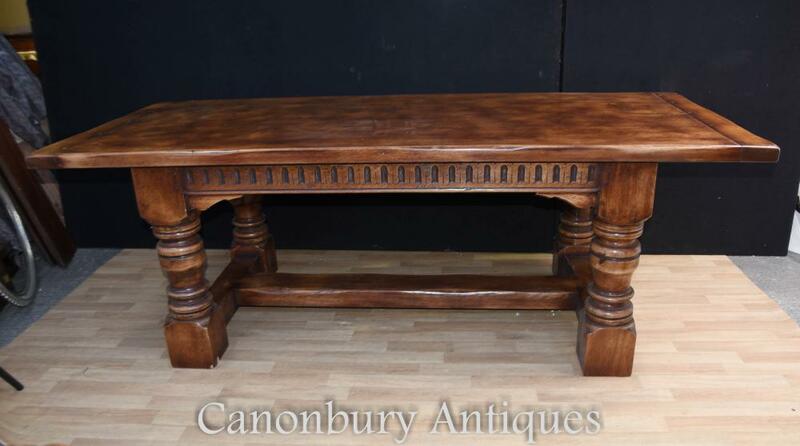 You are viewing a gorgeous French refectory table in oak that measures a whopping ten feet long – perfect for the long hall or a castle or a large kitchen! For those of you looking for that cosy rustic look then here it is – the perfect farmhouse table. This is solid and chunky – wobble free it will last for many generations hence making it a great heirloom. It is all hand carved from oak. Particularly attention grabbing are the chunky bulbous carved French legs with leaf motifs. Absolutely stunning. The table is offered in great shape and we will ship to anywhere in the world. 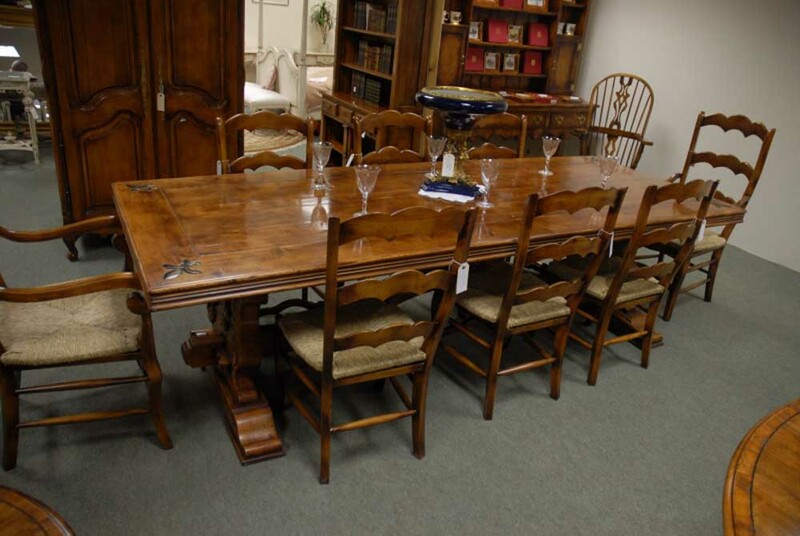 We have various sets of chairs to match so please email us if you are looking for a whole dining set. Ladderbacks, spindlebacks, William IV chairs – they\’d all look great around this stunning piece. – Very solid and sturdy, this will withstand the vigours of daily use and then some!